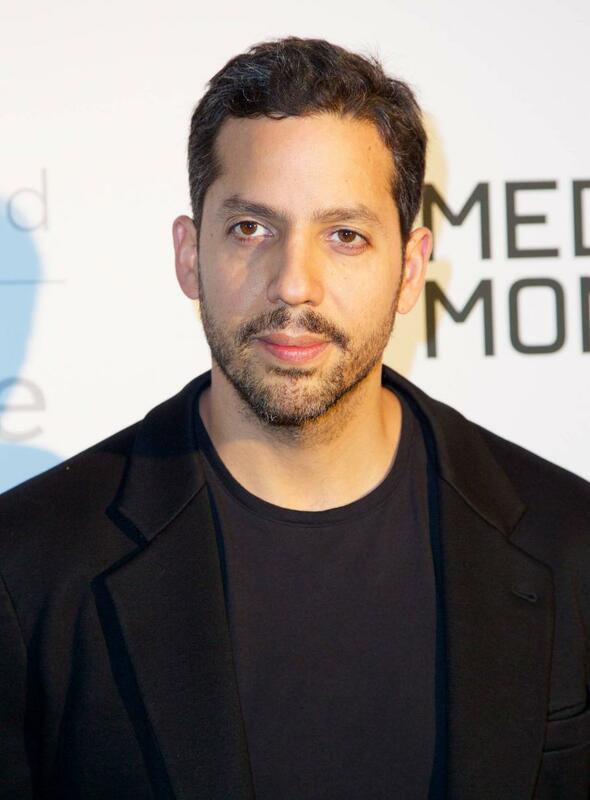 Illusionist David Blaine is suited up in his protective outfit as he takes his place on a high pillar to prepare for his latest endurance stunt 'Electrified'. He appears to close his eyes as if spirituality focusing himself on the task ahead, while officials go up and down in a metal cage like elevator in order to communicate with Blaine. 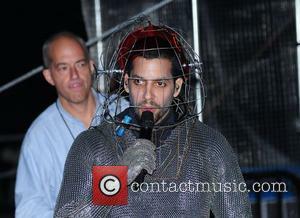 His suit is made up of a chainmail like armor with a round cage like helmet that is designed to act as a Faraday cage against the million volts he is being shocked with.